Ok, I am terrible at Wordless Wednesdays. At least I can admit it though. 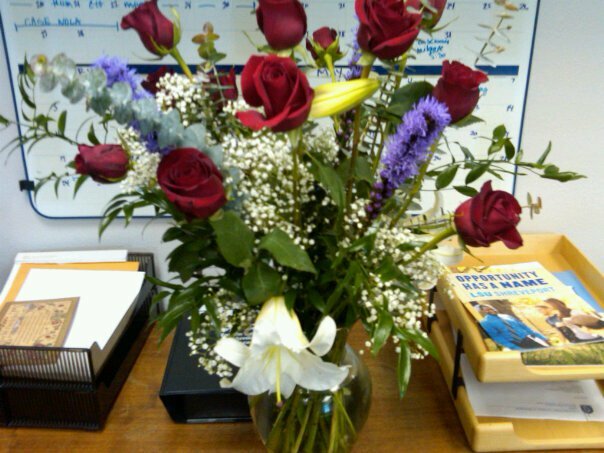 These flowers are from my Valentine! So sweet. They make my office smell yummy! And he is on a rig this week, so he must have planned ahead! And since I lost one of the pearls he gave me for V-day last year, he bought me some new ones a week ago when he was in town! I sure do love him.